Over the past 30 years, water levels have been generally too high for the establishment of anything other than a fringe plant community. As water depths became too deep, the emergent plant community withdrew predictably. At the same time, water turbidity in the marsh had also increased, and this led to a predictable reduction in the diversity of submergent species. This relationship is demonstrated in the following graph, which shows how the species richness of submergent plants declines as a function of water turbidity in coastal wetlands. 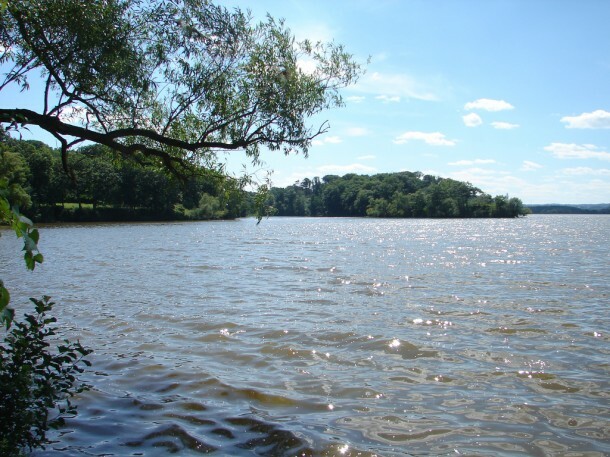 Water turbidity in Cootes Paradise during the 1990s was so high that it could not support more than 3 or 4 submergent species. Even though contributions from sewage are currently at greatly reduced levels, historic loadings in the sediment are being returned to the water column when wind or carp disturb the bottom (through their feeding and spawning activities), and this has been shown to account for almost a third of the overall phosphorus load to the marsh ecosystem. Ecologists often construct conceptual models to illustrate the ways in which all the components of an ecosystem are inter-connected. This conceptual model shows how the components in Cootes Paradise Marsh interact to keep the marsh in a degraded state. 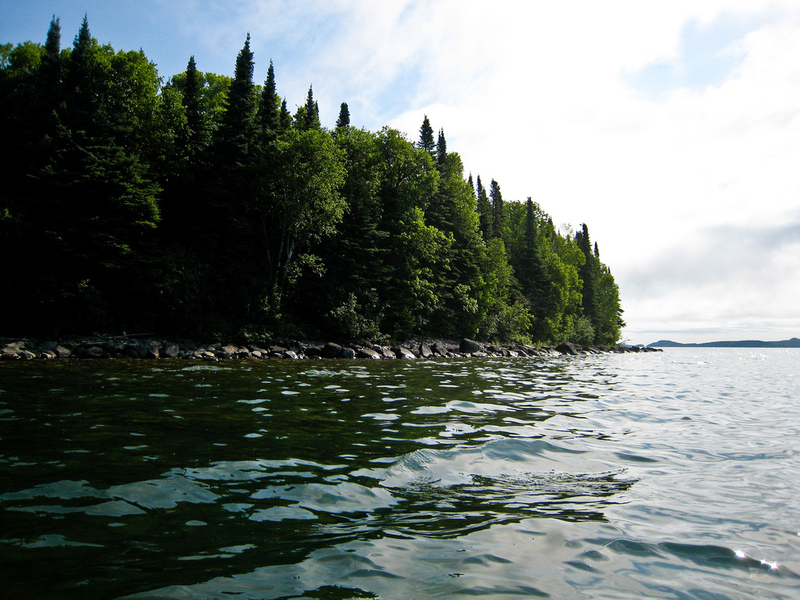 Since pike and bass need submergent vegetation for spawning and nursery habitat, the loss of submergent vegetation has led to the decline of the warm-water fishery. In other words, when water depths in the marsh became too deep, emergent plants died off, making the marsh more vulnerable to wind resuspension. There were also accompanying changes in the watershed as the Towns of Ancaster and Dundas became more urbanized, and more land was deforested for agriculture. Because of the high nutrient and sediment load, the water became very turbid, and this inhibited the growth of submergent plants. Since pike need these weedy areas for spawning and nursery habitat, disappearance of the plants led to the elimination of the warm-water fishery. The common carp, however, tend to thrive under these polluted condition. In addition, they can maintain high turbidity through their feeding and mating behaviour and therefore dominate the fish community. Therefore, even though there were several factors responsible for the decline of the plant community, leaders of the Remedial Action Plan decided that removal of carp from the marsh was of paramount importance. A marsh restoration plan was developed that permitted the exclusion of carp, while allowing other fish to access the marsh. Current conditions in Cootes Paradise Marsh favour the dominance of common carp, which by its feeding and spawning behaviour maintains the marsh in a turbid state.